This photo, taken at North Carolina State Fair, Raleigh, in October 2001, shows how these fish are misrepresented. Note the mis-spelling of "piranha." 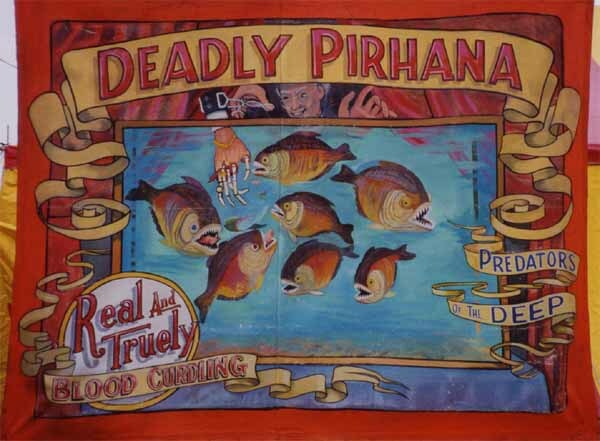 The "real and truely" actual display consisted of a dry tank of dried piranhas stuck atop sticks. The skeletized hand and mad professor were absent from the display. However, the drawings of the fish themselves are quite accurate (compare with the piranha photos).